I happen to be in many Facebook groups, for my planner. 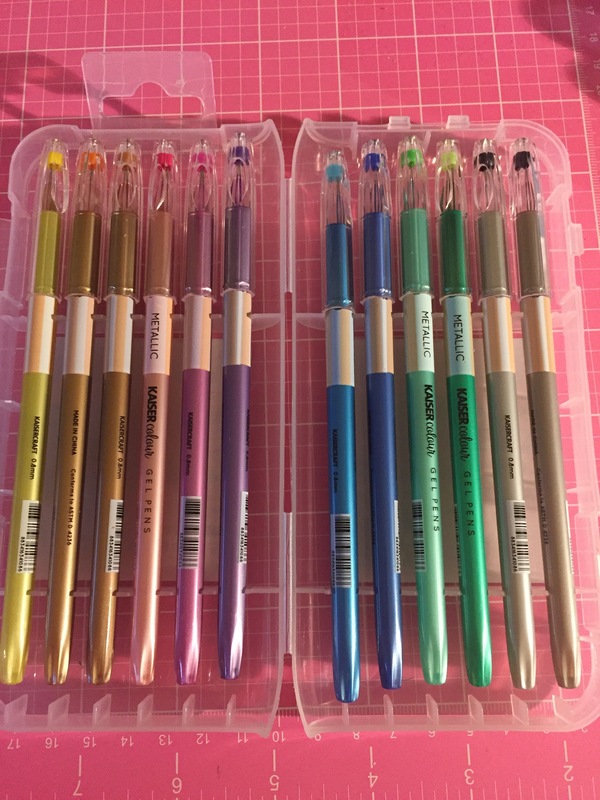 I’ve seen some posts about these pens and how they started seeing them in Hobby Lobby. I was in one day, looking for the new Happy Planner stuff. There was nothing there but I remembered to check out the pen/marker area. I’ve always been a pen/marker collector, since an early age. 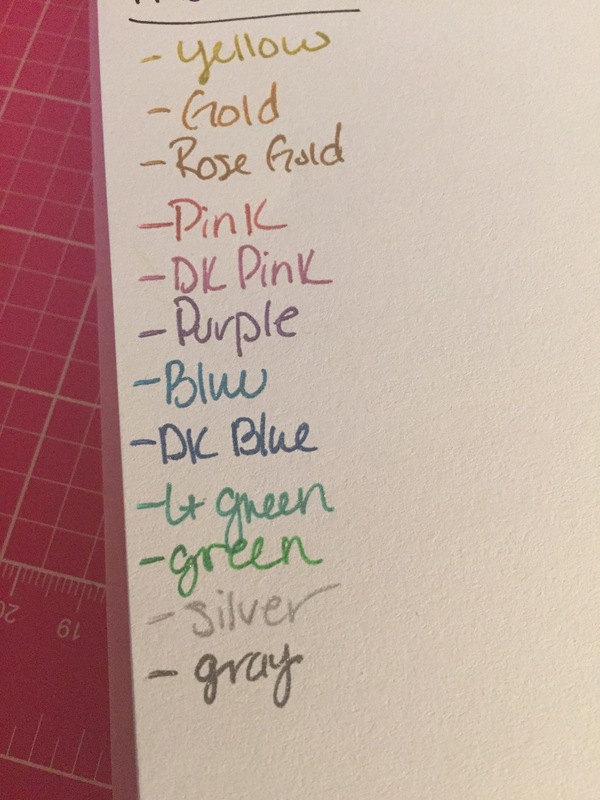 So, I’m constantly on the hunt for new pens/markers! I found these and started with the metallic set. Who doesn’t love Metallic pens?! Anyways, I was pleasantly surprised! Here is a picture with a quick look at their tests. I actually keep a notebook full of all my pens and their colors. I have tried these out in my planner for the last week and I love them. They do take a couple seconds to dry. So as long as, you are not in a hurry, they will not smear. I was surprised at how glittery these were. They really are so pretty. These have a really thin barrel and are light weight. These ones in particular have a 0.8mm point. They write really nice and evenly. I usually keep my pens in a bag or in storage. I always throw the packaging out but I really like the packaging with these! The case will snap shut and it’s not too bulky. I like how all the pens are held into the case, so they don’t fall all over when opened. I bought them at Hobby Lobby with a 40% off coupon. They are regularly priced $9.99, so not bad after the coupon! I will be picking up some of the other sets in the coming weeks.